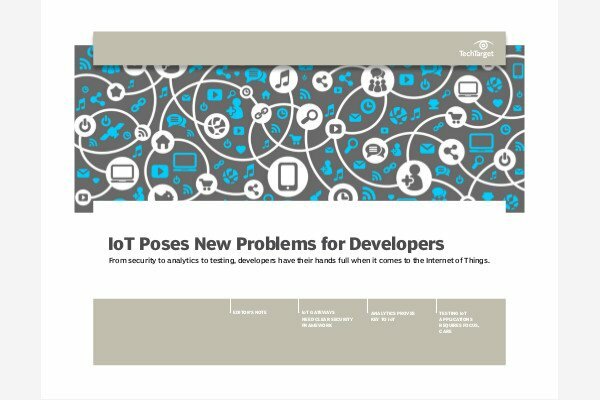 The IoT world may be exciting, but there are serious technical challenges that need to be addressed, especially by developers. In this handbook, learn how to meet the security, analytics, and testing requirements for IoT applications. Microsoft has steadily increased its participation in the open source market. Developers and testers looking for more options can count on Microsoft to continue to advance in the open source community. Embarcadero Technologies announced a new version of its RAD Studio, called RAD Studio 2010, featuring updated versions of Delphi, C++ Builder, and Delphi Prism and comes in three SKUs: Professional, Enterprise, and Architect.